Back to blogging after a very long break. Belated Happy New Year greetings - I hope it will be a good one for us all. I'm in Brisbane, capital city of the State of Queensland, familiar to many from the dreadful floods just a year ago. The city looks wonderful now but it is a tribute to the courage and tenacity of Queenslanders that their ongoing recovery is forging ahead. I'm staying with my good bookbinding friend Leone, and today we visited GOMA, the Gallery of Modern Art. "Matisse Drawing Life" was the main exhibition and it was marvelous. Of course. Most of the works were from the Bibliotheque nationale de France, a wonderful opportunity to see more than 300 drawings, prints and illustrated books by one of the greatest artists if the 20th century. To be able to draw like that! 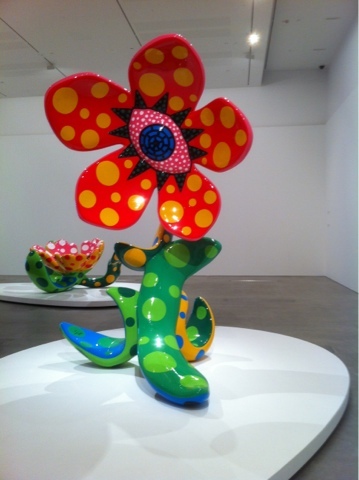 Two other exhibitions that we really enjoyed were extremely colorful and joyous. 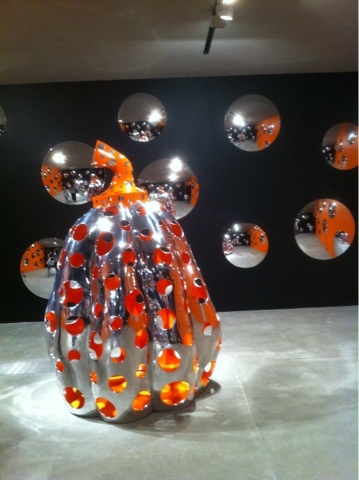 First was the Japanese artist Yayoi Kusama : Look Now, See Forever. 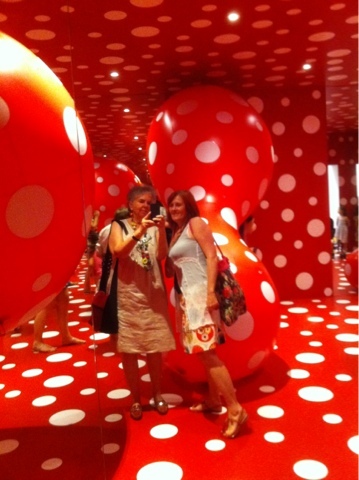 Rooms of mirrored sculptures, strange but beautiful flowers, huge paintings, red spotty things led us into a gallery of SPOTS. On entry we were given colorful pages of stickers - spots large and small. 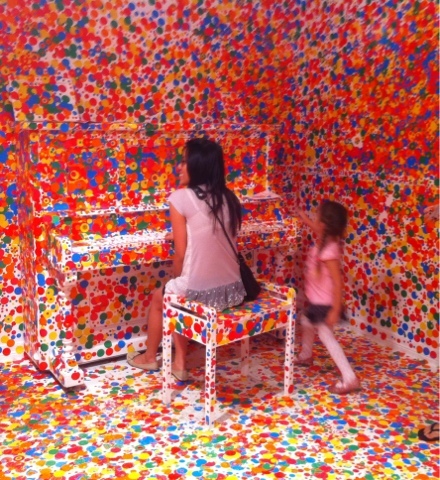 We were able to stick the spots anywhere in the gallery, walls, floor, furniture. The result? Spectacular! 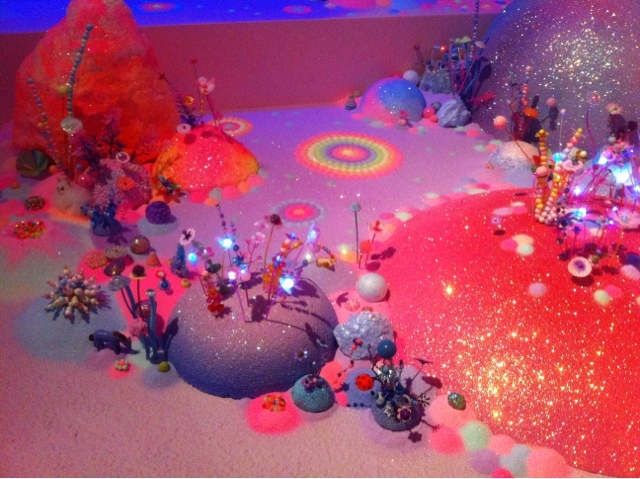 The other exhibition was called "We Miss You Magic Land". 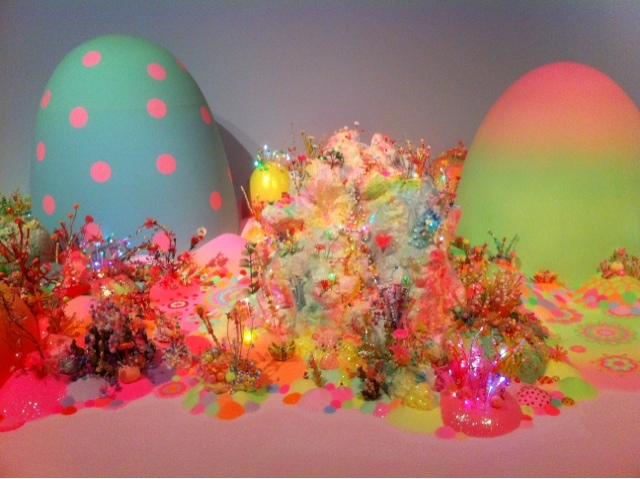 Pip and Pop, artists from Perth, Western Australia, have made a magical, glittering landscape, a miniature world overhung with huge jellyfish-like beings, enormous egg-shapes, and as delightful to the adult audience as to the enthralled children. I'm typing this on my iPhone so not sure if my photos will appear in order or at all. If not, I'll try again when I get home. These photos look gorgeous Carol. Am really looking forward to our meet-up later today. Looks great. 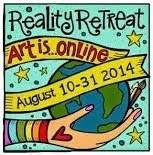 I'm heading to Bris soon to see Matisse but am now really looking forward to the other exhibitions too. Happy New Year to you too. Ronnie, it's good to be back! I wish I had more time here to revisit GOMA, I could happily spend a week exploring the two art galleries, the State Library (which has fabulous events for children during the school hols), and the Museum, which is still undergoing renovations. Amanda, so good to meet with you yesterday afternoon. After years of knowing one another via blogging and email we were due for a face-to-face get-together. 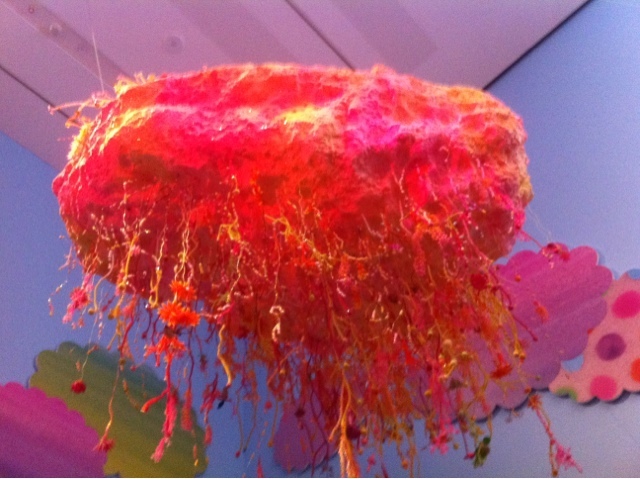 Jan, I'm sure you'll love GOMA as much as I did. I've long been a fan of Sydney's Museum of Contemporary Art and I'm delighted to see how well Brisbane's gallery stacks up. Enjoy Matisse! Fabulous Carol!!! 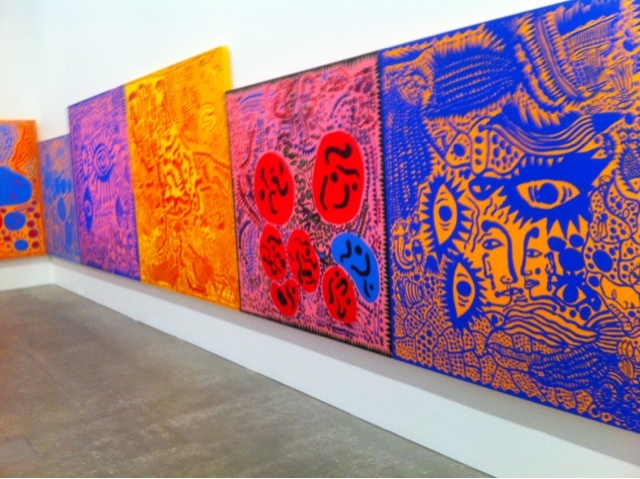 I love all of the spots....and of course the wonderfully bright colors! Isn't it great to be able to blog right from your phone. I'm so glad you shared those apps with us a few posts ago. Thanks for letting me know that you are posting again. I have missed you! 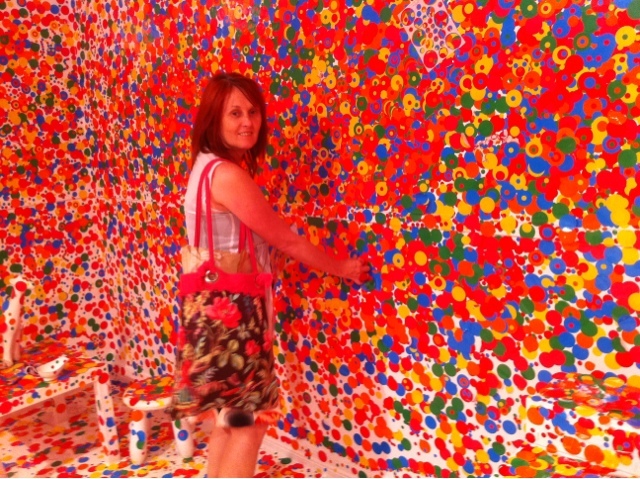 Judy, I love colour and that spotty exhibition filled me with joy. I love being able to blog from my iPhone and iPad, makes it much more likely that I'll keep it up now.